Photos of our work. 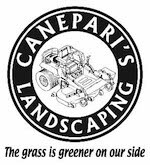 Landscape installs | Mowing | Stone work | Tree work | TRG driveways. Boston colonial pavers. Running bond. Birds eye view of lawn we mow.